Small business’ difficulties in the face of disputes with larger organisations and its own shortfalls regarding superannuation have been given a higher profile at the start of the month. 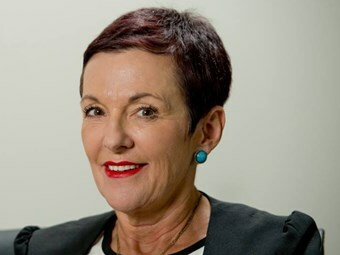 The Australian Small Business and Family Enterprise Ombudsman (ASBFEO), Kate Carnell, has released research that small businesses in Australia are paying more than $130,000 to resolve a dispute through formal pathways. This is found to be double the cost of a decade ago, and payment times and terms remain the biggest cause of disputes. "We surveyed 1,600 small businesses across Australia and found time and cost are the most significant factors when determining how far to pursue resolution of a dispute," Carnell says. "Our research shows 22 per cent of small businesses surveyed had been involved in a serious dispute in the last five years. Nine out of 10 were business-to-business disputes and one in 20 were business-to-government. "Three out of five sought legal advice from a lawyer. "At this point, the small business owner has to decide whether to pursue the dispute, as the expected costs of further action most often outweigh the potential gain. Half of those surveyed considered the amount of time and effort required was unreasonable. "We found one third of disputes are not escalated through a formal process; instead the small business owner sought to resolve it by speaking with the other party and coming to an agreement. "The cost of disputes to small businesses is far reaching. "There can be significant financial loss; existing business relationships become strained; it is a time-consuming process and reputations can be seriously damaged. "If the direct approach has failed, we recommend small businesses consult your state Small Business Commissioner or our office." The release of this report signals the beginning of Phase 2 of the Access to Justice Inquiry, which will look at the court systems, explore emerging ideas for streamlining processes and make recommendations to improve access to justice for small business owners. Meanwhile, a new law to improve compliance with superannuation obligations among small business has been passed. The development comes a few months after the Australian Taxation Office (ATO) estimated the Superannuation Guarantee (SG) gap to be 5.2 per cent or $2.85 billion of the total estimated $54.78 billion in (SG) payments from all sources. Taking a hard line on the issue, the Australian Institute of Superannuation Trustees (AIST) welcomed the passage of legislation to help ensure small businesses comply with their legal obligation to pay superannuation for their workers. "For too long some businesses have been able to avoid their obligations to pay super because of outmoded laws," AIST CEO Eva Scheerlinck says. "Workers have suffered, while non-compliant employers have had an unfair advantage over the majority of employers who are good corporate citizens." The new legislation – to come into force on July 1 – will mean that employers with fewer than 20 employees will have to comply with ‘real-time’ reporting of wage and superannuation information to the ATO. Previously, real-time reporting only applied to larger employers, while small businesses were able to take as long as three months to make and report super payments, the AIST notes. Importantly, the new legislation will also shift the burden of identifying and collecting unpaid super from individual workers and ex-employees to the ATO. Up until now, the ATO has largely relied on employees to make complaints to alert them to the non-payment of super – at a very real risk to the jobs of the employees who do this. This measure will apply to all employers. "We congratulate the government on adopting and implementing this measure which is extremely important for vulnerable workers," Scheerlinck says. Research by AIST member fund Cbus estimated a shortfall of $3.6 billion each year in the super that employers pay. "That’s a lot of super hard-working employees are missing out on," Scheerlinck says. As tax, finance and accountancy firm Catalyst Financial reported earlier this year, STP requires employers to "report salary and wages, PAYG Withholding and super payments directly from their payroll solution in real-time, at the same time as they pay their employees. "This means the ATO will have significantly more data at their hands in real-time to be able to identify employers that are not meeting their SG obligations."